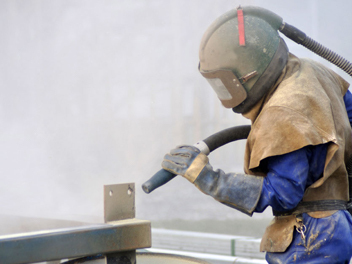 At NEACH our state of the art blasting booth is capable of handling a variety of abrasive blasting and surface treatment needs. We use EPA approved steel shot, as it is extremely robust and environmentally sustainable. NEACH offer a range of standard surface finishes and coatings that will meet most project requirements. 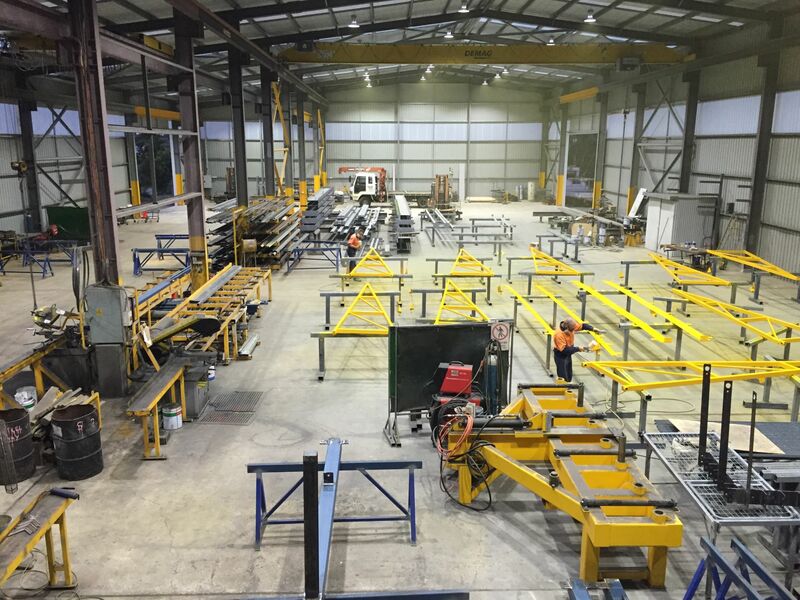 Where specific coating specifications are to be met that have been designed specifically for a project, NEACH have the capability to source the products, develop the procedures and execute the custom works. A marine grade high build zinc phosphate primer. Typically applied to 75 microns. A great all round paint system that is perfect for all internal and closed in structural steel and metalwork. NEACH offer a range of standard two pack paint systems that will protect your asset for 10 to 15 years from corrosive environments. 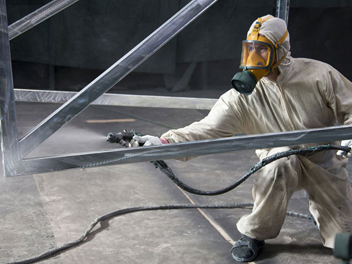 This is a zinc and aluminium alloy that is sprayed onto a blasted surface. 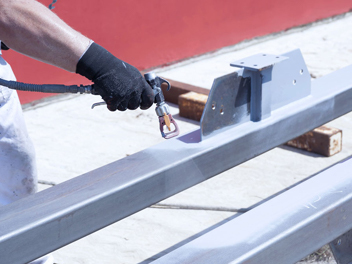 A mechanical bond is achieved between the blasted metal profile and the Hot Metal Spray which provides a superior quality of protection to galvanising. A pressurised flame, fuelled by propane and oxygen, instantaneously melts the zinc and aluminium alloy and sprays it onto the metal surface which then bond as the Hot Metal Spray cools. NEACH have been successfully providing this product to coastal projects within meters of saltwater for over 25 years. Our experience and knowledge in this area will ensure you are selecting the right products and the right company to apply them. Passivation of our stainless steel and aluminium metalwork is a key reason our products are so well regarded. The technique of passivation strengthens and preserves the appearance of metals against corrosion. The technique creates a shield against corrosion on the surface of the parent metal through specialised processes that NEACH use. NEACH have a range of polishing techniques to provide our customers with a variety of looks and pricing outcomes. From a matt finishing to highly polished, we can address your project’s needs.